Drake is currently on vacation, because sometimes you just need to get away from a pregnancy rumor, you know? In a move that seems coincidental, desperate, or a combination of both, E! News says he’s staying at the exact same resort that his former girlfriend-for-attention Jennifer Lopez was just at a week earlier with her new boyfriend A-Rod. Drake is staying at the Casa de Campo resort in the Dominican Republic. E! says Drake and JLo missed each other by only a couple of days. 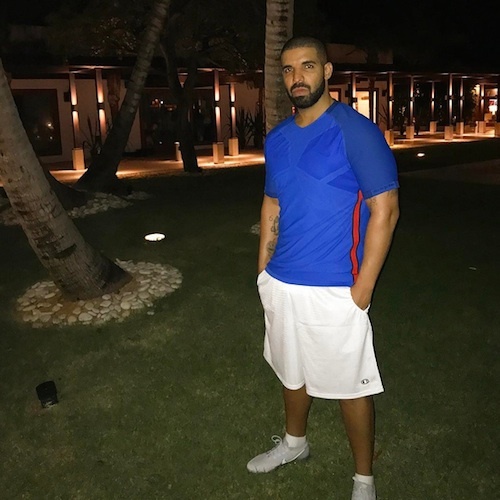 I’m sure Drake is having a great time, even though all the vacation pictures he’s been posting to social media makes him look like a lonely Canadian who scored an off-season deal on itravel2000.com. This whole situation feels a little Forgetting Sarah Marshall meets…well, Drake. Drake would totally go to the same expensive (JLo and A-Rod’s vacation reportedly cost $100,000) resort as his ex. E! News also seems to think that Drake Instagrammed a shady message for JLo by posting a picture of Golden State Warriors player Draymond Green with the caption: “When she asks how much fun you’re having without her…“.